The Hebridean Food Co. is raising £60,000 investment on Crowdcube. Capital At Risk. Launched just seven months ago, The Hebridean Food Co's soups and sauces can be found in Selfridges, Whole Foods Markets and Aldi. With a world-class Chef and ingredients from small-scale fishermen and Hebridean crofters, the business is raising funds to increase capacity and invest in marketing. Information Owing to international investors participating in the round, there is an additional £10,000 of SEIS eligible shares available. The Hebridean Food Co has thus been reopened for investment and will close at midnight on Sunday the 21st of August. The Hebridean Food Co. has received a letter of SEIS advanced assurance from HMRC. Originally the pitch has been promoted as EIS tax relief (pending) but this has now been updated to SEIS (granted). Please visit the document section of the campaign for a copy of the advanced assurance. Fresh soups are consistently growing in popularity but we feel that the supermarket offerings of low meat content, homogenous texture, characterless content, lack of origin and overly processed products are not good enough. Our solution is The Hebridean Food Company. Our simple aim is to bring to life our food through the passion for our home, the people, the history. From our small-scale fishermen to our hardy crofters, soul is in the very bones of what we do. As a lobster fisherman's son Douglas knows the very fabric of what makes Hebridean food so special. Slowly grown food, bursting with character and community at its very heart. We have created our products so that they are never over processed, using plenty of meat and packed with hearty vegetables. Working with a world class chef we have created a fantastic range of meat and seafood soups. The idea is gaining traction. Having only launched our soup range 7 months ago our Mussel chowder soup is listed on Aldi supermarket in Jan 2016. With an additional two products to be listed in September showing Aldi's confidence in the concept. In addition Wholefoods has committed to working with us and we have also secured a contract to supply Southbank Fresh Fish who distributes to among others Selfridges and Co. We have the capacity in our premises to produce 900,000 tubs of 400g soups (£1.62m turnover) and with this investment we will expand our production capacity to produce £3m worth of products annually. To see the rest of the The Hebridean Food Co. pitch, join now. 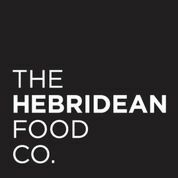 Join to read more information about the The Hebridean Food Co. team, documents, and what other investors are saying about the pitch.